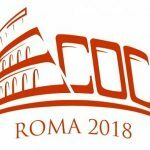 The 44th European Conference on Optical Communication (ECOC) will take place in Rome, Italy from the 23rd to 27th September . The Metro-Haul project will be well represented with talks and presentations in lots of the sessions. The ECOC programme also includes space for demonstrations of recent developments in software and hardware. A group of Metro-Haul partners have put together a demonstration of “Automated End to End Carrier Ethernet Provisioning over a Disaggregated WDM Metro Network with a Hierarchical SDN Control and Monitoring Platform.” This shows how a hierarchical control plane of ONOS SDN controllers can orchestrate the dynamic provisioning of end-to-end Carrier Ethernet circuits on a composite network, programming the whole data path from the CPE to the core optical equipment. End-to-end carrier Ethernet services are a compelling use-case in the context on SDN/NFV because they require deep interaction between resources located in the Central Office (CO) and the transport network providing interconnection between the COs. The ONF’s Central Office Re-architected as a Datacenter (CORD) initiative  aims to bring the agility, flexibility, and automation of a cloud infrastructure into each CO by means of a community-based open source project. Enterprise CORD (E-CORD) is a CORD use-case that offers enterprise connectivity services over metro networks. This demo is based on the CORD platform enhanced within the Metro-Haul project to add features to control an optical transport network composed of disaggregated elements and extended with a Monitoring and Data Analytics (MDA) platform able to collect performance data from the devices that can be analysed using bespoke Machine Learning (ML) algorithms to proactively detect anomalies in the network. The demo objective is to show the dynamic setup of a Carrier Ethernet-Virtual-Circuit (EVC) from a global vantage point over a composite access and transport network, whose configuration is fully automated by the control-plane. The system operates on the FutureNet test-bed available in the TIM laboratories in Torino, Italy, composed of five CORD CO nodes interconnected by a disaggregated optical network. The demo, the MDA agents collect monitoring data from CPEs and aggregates the data before sending it to the MDA controller to be stored and visualized using a Web GUI. Measurements are analysed by ML algorithms in the MDA agents; specifically, delay measurements is used as a metric that needs to be closely followed to detect degradations that might impact the service. When a degradation is detected a notification is sent towards the MDA controller and could be used e.g., for triggering an in-depth analysis to localize the root cause of the failure. As shown in Figure 1, the process of setting up a circuit involves the installation of forwarding and traffic control rules on multiple devices composing the data-path, from the terminal Customer Premises Equipment (CPE) placed at the customer building to the disaggregated ROADM switches of the metro transport network, passing through the operator COs located at the edge of the WAN. The workflow for a service set-up is shown in Figure 2. A parent controller (named ONOS global) coordinates three domains and a total of five ONOS instances since each CORD CO uses two different instances: one for the virtual tenant and the access networks (onos-cord), and the other for the CO fabric control (onos-fabric). Upon request, the GUI contacts the global ONOS controller (step 1). The controller contains a Carrier Ethernet application that is able to process the request triggering a series of API calls all the way down to the physical devices. First, an admission control routine is applied, and then, if accepted, a service tag is generated and the request is split into as many forwarding constructs as the number of virtual devices along the path between the UNIs. The forwarding constructs are then sent to the local controllers using REST-based APIs (steps 2-6), which are responsible to allocate the appropriate network resources. The demo shows how network resources on multiple technology domains can be allocated in a unified way by means of easy-to-consume APIs, thanks to the separation of concerns provided by the two layers hierarchy of network controllers. 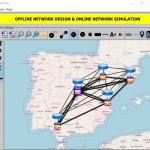 While the E-CORD scenario has been already demonstrated in public events, this demo integrates the control of a disaggregated optical metro network based on NETCONF and on YANG models defined by the OpenROADM project. For this, ONOS has been featured with new device drivers and with a suitable NB application. 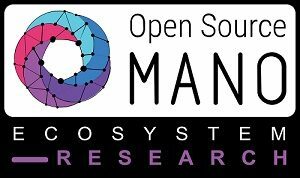 To the best of the authors’ knowledge, this is the first attempt to show how multiple ONOS clusters can be coordinated to fully automate the provisioning of network resources from the access to the transport network. Moreover, a MDA system, able to collect performance monitoring data can be easily integrated in the platform opening the doors to applications for automatic proactive control over wide area networks. Received a Dr. Ing. degree in electronic engineering from University of Genoa (Italy) in 1988. After a six-year experience with Marconi as a testing engineer, he joined TIM (at that time CSELT) in 1995 where he is currently working in the “IP & transport innovation” unit. He has been involved in several European projects such as LION, NOBEL, NOBEL-2, MUPBED, STRONGEST, IDEALIST and in the related technology transfer inside the TIM group. His research interests include network control ranging from the ASON/GMPLS architecture and protocols to the SDN ecosystem with a particular focus on multi-layer (IP over optics), multi-domain and traffic engineering aspects.